Rolando Garbey has participated in 3 Olympics Games with two medals. This is sufficient to justify a separate article for this pioneer of the Cuban amateur boxing. Rolando Garbey was in the -71 kg weight division during his entire career. Rolando Garbey was born on November 19th, 1947. He begins boxing around 1965 and wins the silver medal at the National Championships, losing against Andres Molina. In 1967, during the Pan American Games in Winnipeg, Garbey wins his first 2 fights and beats Victor Galindez/Argentina by ko in the 2nd, in the finals. Victor Galindez will become World professional Champion in the light-heavyweights. Garbey wins the bronze medal at the National Championships, losing vs Juan L. Martinez. Garbey has already lost 2 times against Martinez the same year. 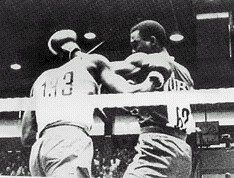 Garbey loses again in the Giraldo Cordova Cardin tournament in 1968, against Martinez and wins the silver medal. 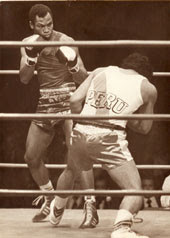 Despite the victories of Juan L. Martinez, Rolando Garbey is sent to the OG. We did not find any other traces of Juan L. Martinez, who does not seem to have represented Cuba in a major championship. Garbey beats Johnny Baldwin/USA in the semi-finals on point 4-1. Baldwin will have 32 fights with 5 defeats in the pro, including a loss against Marvin Hagler. The silver medal of Garbey is the second won by Cuba in boxing, his compatriot Regueiferos has won the first, at the same games. In 1970, Garbey wins the gold medal of the Central American Games. The same year he loses in the finals of the 1st Central American Championships. In 1971, he beats his countryman Emilio Correa in the Giraldo Cordova Cardin tournament finals. He also wins the gold medals of the Pan American Games and Central American Championships. In 1972, at the Munich Olympics, he wins his first 3 fights before losing on points 1-4, against the Polish Wieslaw Rudkovski. The latter wins the silver medal of these OG. 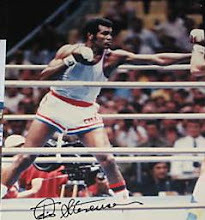 Garbey is national champion in Cuba in 1972, 1973 and 1974. In 1973, he wins the Central American championships. In 1974, he wins the Central American Games. Garbey wins the finals against Alfredo Lemus / Venezuela, on points 3-2. In 1975, Rolando Garbey loses twice vs his compatriot Luis Felipe Martinez, before beating him in the finals of the Giraldo Cordova Cardin tournament. Garbey wins the Pan American Games, beating Alfredo Lemus in the semi-finals. 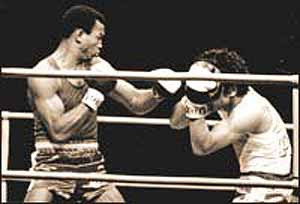 In 1976, Rolando Garbey loses against Luis Felipe Martinez in the finals of the Cuban Championship. He also loses at the Cup Strandzha in Sofia/Bulgaria finals, facing Tadija Kacar/Yugoslavia. Despite these defeats, Rolando Garbey is sent at the Montreal Olympic Games. Luis Felipe Martinez wins the bronze medal at the OG in the middleweights and the silver medal at the 1978 CM (-71 kg). Garbey wins the bronze medal in Montreal OG. He wins his first three fights before losing on points facing Tadija Kacar/Yugoslavia in the semi-finals. Kacar wins the silver medal at these OG and the silver medal at the 1978 CM. He is the brother of Slobodan Kacar, future Olympic champion. Rolando Garbey disappears from the Cuban Olympic team in 1976. He has met little opposition against amateur boxing stars, with the exception of Emilio Correa and Boris Lagutin. Garbey has the particularity of having missed a medal at the 1972 OG and having come back on the podium at the 1974 CM and 1976 OG. His career at the world level lasted almost 9 years. He stays the second Cuban Olympic medallist in boxing. Rolando Garbey is 178 cm (sometimes cited 183 cm) for 71 kg. He is right-hander and uses a low guard. His footwork is hopping. He does not hesitate to accept the clinch and has the punch in his right fist. Many victories before the limit are written on his record. Rolando Garbey was the coach of Guillermo Rigondeaux. OT: Can't get enough of Manny? You can check out Manny Pacquiao doing his intensive training and other interesting Pacquiao videos at the official Manny Pacquiao Youtube channel. It's super cool!